Nationalteatern was the brightest band on the Swedish progressive rock scene in the 1970s. On the second album, Livet är en fest, (Life is a party) Ulf Dageby was allowed more room, and he was later to evolve into the group's driving force. The album was a more straightforward rock album than the previous one, something that proved very successful. In 1977, many members of Nationalteatern played a significant part of The Tent Project. On Barn av vår tid, (Children of our time), from 1978, the first album featuring Totta Näslund, and later Rövarkungens ö (The Island of the Bandit King), from 1980, the group moved away from the theatrical work and concentrated on the music, calling themselves a Rock Orchestra. The group was dissolved soon after, but the new millennium has seen several reunions of Nationalteatern, touring all over Sweden. But no new songs or albums have been recorded. Totta Näslund died in 2005, though the band still gives concerts from time to time. You asked it,you got it! I've stopped using soulseek since I came across your blog! Your blogg is truly amazing! You post things that I thought was totally inavailable or simply non-existing. Anyway - this one you just have to remove. For a swede this is a landmark of absolute non-inventive and underdeveloped socialist get-together campfire singa-longs. Posting this for swedes (or any nationality) is like posting Bruce Springsteen for americans, everybody knows it and hates it (I hope). Since you not know the history of this record it might sound exotic, but beleive me it does not fit in your beautiful collection. ha ha ha the comments above are sooo funny, kind of symbolic why I left sweden...well perhaps that is a bit far fetched and extreme...but why the seriousness grabbar och flickor? you really got to laugh....oh well! I wasn't at all offended. 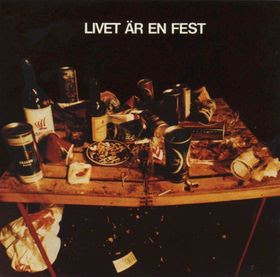 And "Livet är en fest" is acctually a quite good rock record. "Barn av vår tid" is one truly fantastic song and it had a great impact on the youth of its time. However, as years goes by nationalteatern has become somewhat of an tiersome relic of the past. A record you will hear be quoted by drunk 70s nostalgics and covered by early 90s nazirockers (the track "Livet är en fest" seems to apply to the drinkingcultrue of all kinds). But don't delete the post, I see no reason to really. My comment was just to give a perspective of the release and its orgin. Once again, manny thanks for a great blogg. 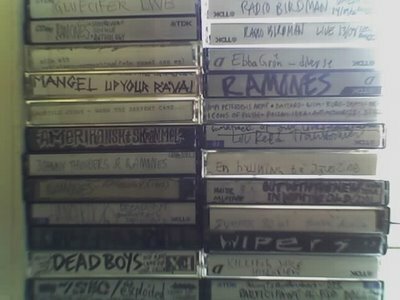 PLEASE DON'T SHUT IT DOWN, YOUR WORK IS A TRUE CONTRIBUTION TO THE UNDERGROUND CULTURE! btw. I happen to have one of Luc Marianni's records, the first one I belive (Souvenirs du futur). Would you like me to ripp a copy for you? sure i'd love this rip! blog 's not closing down!